A recent case went before Florida’s Second District Court of Appeal to decide who is allowed to choose the corporate representative in a deposition. Following is a synopsis of the case and the Second District’s decision. When suing an entity like a corporation, there are going to be questions for the corporation that need to be answered. The corporation can’t speak for itself. So, in situations like this, Florida has a rule that permits a corporate representative to provide deposition testimony on behalf of the corporation. The question is, who gets to pick that representative - the corporation, or the party suing the corporation? Florida Rule of Civil Procedure 1.310(b)(6), which closely follows the federal rule, allows a party to “name” a corporation to be deposed, and then the “[o]rganization so named shall designate one or more…persons” who will testify on its behalf. It seems clear enough. But it then goes on to muddy the waters by saying, this section “does not preclude taking a deposition by any other procedure authorized in these rules.” Fla.R.Civ.P. 1.310(b)(6). So What Options Does the Corporation Have in its Choice? Recently, Florida’s Second District Court of Appeal had this very issue before it in Sybac Solar, GMBH vs. 6th Street Solar Energy Park of Gainesville, LLC. The case involved a loan made by Sybac to 6th Street, which Sybac was seeking to collect on. 6th Street later filed a counterclaim, alleging that Sybac’s employee, Rautenberg, had made defamatory statements about the company. Sybac claimed that Rautenberg had neither been authorized to hold the meeting or make the alleged statements. 6th Street had already noticed and deposed two of Sybac’s employees as representatives of the corporation, who had testified over the course of two days. But it then requested to depose Rautenberg as Sybac’s corporate representative. Rautnberg appeared and answered questions, but based on his lawyer’s advice, refused to answer any questions about the meeting in which the alleged defamatory statements were made. 6th Street then sought a motion to compel him to answer those questions, which was granted by the trial court. Sybac petitioned the Second District Court of Appeal for a writ of certiorari, seeking to quash the trial court’s order. The question presented was simple - under Florida Rule of Civil Procedure 1.310(b)(6), who gets to choose the corporate representative? 6th Street claimed the right was theirs, while Sybac argued that the corporation decides. The starting point for the court was the notice requirement itself. The rule requires that the requesting party must describe the subject(s) they want to question, and the corporation will be required to furnish someone to answer them. This person does not have to be the most knowledgeable, or know the information first-hand. All that is required is that the person chosen as the corporate representative is prepared to answer questions on those subjects. The last sentence of the section does not change the analysis. Looking at the history of the rule, the Court found that the last sentence of the rule augments the existing rule by not limiting the deposing party to that one witness. This was written with the situation in mind in which the deposing party believes corporate officials who had not testified had relevant additional information. That was not the case in the Sybac versus 6th Street litigation. The court concluded by finding that, since Sybac and Rautenberg’s interests were directly adverse, the court could not compel Sybac to have Rautenberg as its corporate representative. Fisher Rushmer, P.A. is proud of the hard work and legal acumen that Michael Brownlee and Brock McClane brought to this appellate matter. Fisher Rushmer’s appellate practice includes lawyers who have practiced before the Florida Supreme Court, each of the Florida’s District Courts of Appeal, and almost every U.S. Circuit Court of Appeals. Michael Brownlee is Of Counsel with Fisher Rushmer, P.A. and obtained his board certification from the Florida Bar in appellate practice in 2016. 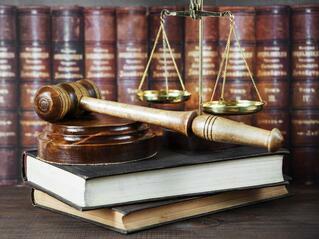 He concentrates his practice in civil and criminal appeals in Florida and federal courts of appeal across the country. Michael is licensed to practice in each of Florida’s appellate courts and most of the federal circuit courts of appeal. He holds an “AV Preeminent” peer review rating from Martindale-Hubble and was selected for inclusion in Florida Super Lawyers® Rising Star in 2016 for appellate practice. Brock McClane is Of Counsel with Fisher Rushmer, P.A. He concentrates his practice on commercial litigation and business planning including international estate settlement, trustee services, international litigation and fiduciary litigation. Brock is board certified in international law and is a Florida Supreme Court Certified Circuit Civil Mediator. He has been selected for inclusion in The Best Lawyers in America® in Corporate Law from 2010-2017, selected for inclusion in Florida Super Lawyers® from 2006-2015, and selected for inclusion in the American Lawyer Media and Martindale-Hubbell®, Top Rated Lawyer in International Law and International Trade from 2013-Present.